HILME announces the first exam session for ELA Certification in 2019, will take place on January 26/27 and February 9/10 both in Athens and Thessaloniki. An announcement of the exams schedule will follow, soon after all applications have been received. 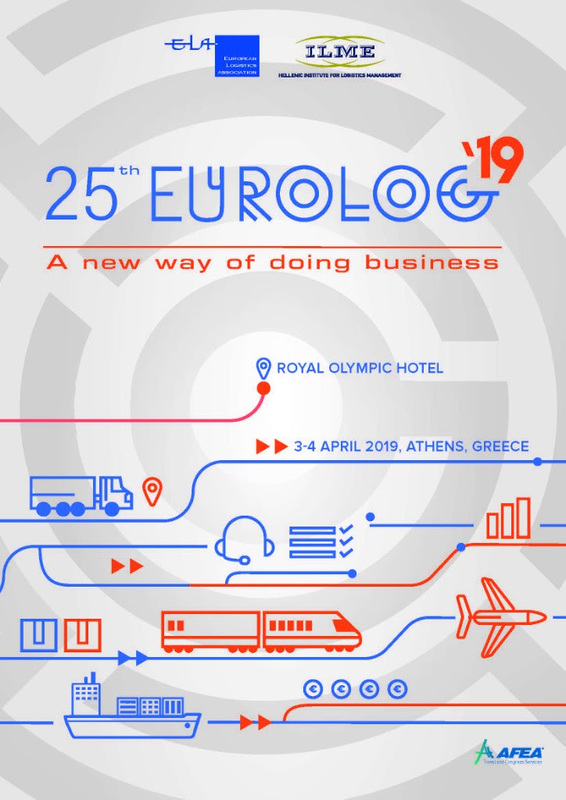 HILME, the ELA Certification body in Greece, is organizing two ELA Certification exam sessions in 2019, both for EJLog and ESLog levels, which will be held in Athens as well as in Thessaloniki. The first exam session will take place on 26th / 27th January 2019 for the written tests and on 9th / 10th February 2019 for the interviews, while the second exam session will take place οn 22nd / 23rd June 2019 for the written tests and on 6th / 7th July for the interviews. All candidates interested may consult the website of HILME on ELA Certification and the training bodies that offer educational programs based on the European Standards. For any additional information contact ilme-ecl@ilme.gr or tel. +30 210 6747361 [Mrs. Vasiliki Laizinou]. HILME announces the second exam session for ELA Certification in 2018, will take place on June 23 and 24 both in Athens and Thessaloniki. On behalf our client, GEFCO the international industrial logistics company, we are looking for a dynamic, ambitious and well-organized Freight Forwarder specialized in road transportation. o Gather and analyze each client’s requirements; act as client’s trusted advisor, providing guidance within the area of responsibility. o Process the transport orders and corresponding administrative tasks: define resources necessary for transportation of goods, gather and analyze subcontractors’ offers, identify and recommend the transport suppliers in relation to price, quality, feasibility, deadlines, etc. o Authorize transport operations following the client’s needs and agreed terms. Monitor the transport throughout the whole transport process. o Assist and advice management or operational employees in relevant optimization of processes in the field of expertise. o Monitor markets (competition, opportunities, tendencies, prices) within the area of responsibility. – Computer literacy in Microsoft applications (Windows, Word, Excel, Outlook, etc.). Knowledge of a second foreign language such as French, German or Italian, would be highly appreciated. – Dynamic, autonomous and resourceful who enjoys taking initiatives and calculated risks. – Respectful to confidentiality, is stress resilient with a never ending appetite to learn. competitive compensation package (competitive salary, bonus based on performance, medical plan, etc.). HILME announces that the first exam session for ELA Certification in 2018 will take place on January 27th and 28th, both in Athens and Thessaloniki. An announcement of the exam schedule will follow. All candidates interested may consult the website of HILME [ www.ilme.gr ] on ELA Certification and the two training bodies that offer educational programs based on the European Standards. For any additional information contact ilme-ecl@ilme.gr or tel. +30 210 6747361 [Mrs. Vasiliki Laizinou]. HILME, the ELA Certification body in Greece, is organizing two ELA Certification exam sessions in 2018, both for EJLog and ESLog levels, which will be held in Athens as well as in Thessaloniki. The first exam session will take place in 27th and 28th January 2018, while the second exam session will take place in 23th and 24th June 2018. We have the pleasure to invite you to the 3rd International Logistics Forum that will take place in Athens on October 4th 2017 in collaboration with the European Logistics Association (ELA). Leading international speakers from different industries will share trends, innovations, best practices as well as new business models and products in the Internet of Things and digitalization era. Logistics play a significant role in value creation for pioneering investments and the standardization and development of human resources. More than that, Logistics offer new solutions and a different approach towards society by improving people’s quality of life and by protecting the environment.